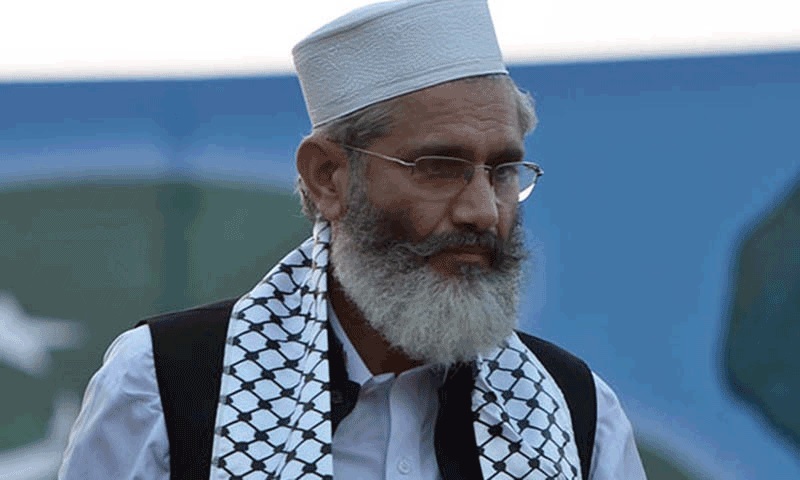 LAHORE: Jamaat-e-Islami (JI) chief Senator Sirajul Haq has said that the Supreme Court’s decision to acquit “blasphemer” Aasiya was a violation of the law and had shocked the entire nation. In a statement issued here on Wednesday, he called upon the government to place Aasiya’s name on the ECL [Exit Control List] so that she could not flee the country as her presence was essential during the hearing of the review petition. “Foreign powers are ready to airlift Aasiya,” he claimed. He said that the proper legal process warranted remanding the decision of the sessions court and the high court for retrial instead of rejection, and deplored the blackout of “public reaction” over the court verdict by the electronic media. “It is a question mark on the media’s independence,” he said. Meanwhile, Jamiat Ulema-e-Islam-Fazl (JUI-F) chief Maulana Fazlur Rehman also came hard on the government and said that Aasiya’s acquittal had hurt the sentiments of the Muslims around the world. He also announced participating in demonstrations against the apex court’s verdict.